This qualification covers the skills, knowledge and competence required to work in an unsupervised capacity leading exercise for independently active, older adults. The training includes considerations for safe and effective exercise and how to plan, adapt and deliver exercise programmes for independently active, older people. The learner will: understand the ageing process and ageing demographics, know the effects of ageing and inactivity and understand the benefits of physical activity and exercise, as well as the special considerations that must be taken into account when programming and delivering exercise for independently active, older people. The learner will: understand how to support and motivate the independently active, older adult in exercise and understand how to promote exercise for independently active, older people. The LLT Older Adult training course delivers the skills, knowledge and competence required of the exercise leader in order to work in an unsupervised capacity with independently active, older people. The course covers the considerations for safe, effective and evidence-based exercise and how to plan, adapt and deliver exercise programmes for the general older adult population (apparently healthy, community dwelling, older people). The course is designed for qualified exercise professionals wishing to deliver community-based exercise to the general older population i.e. those who are relatively well and independent in all activities of daily living. It includes the physiology of ageing, adapting exercise to meet the needs of independently active, older people, as well as practical exercise workshops considering gym equipment, smaller equipment such as resistance bands and group exercise to music. On day one of the course, all candidates will be supplied an LLT course Manual and a CYQ Learner Assessment Record. The course runs over 2 full non-consecutive days (9 am – 5.30 pm). All successful candidates will receive a Later Life Training Certificate or a CYQ Certificate. This qualification comprises two units. Learners are expected to complete both units successfully in order to gain certification. Those not wishing to sit the assessments (or unsuccessful) will receive an LLT Certificate of Attendance. and to make existing group sessions (pilates, yoga, exercise to music) more inclusive. 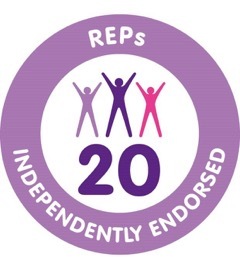 The Older Adult training course is validated by YMCA Awards, endorsed by PD;Approval (now managing all endorsements previously of Skills Active), and recognised by The Register of Exercise Professionals (20 REPs points). The content is mapped against the newly updated units. Successful candidates will receive a YMCA Awards certificate. The total QCF credit value for this qualification is 4. Assessment element 1: Externally set 45-minute theory test from CYQ. 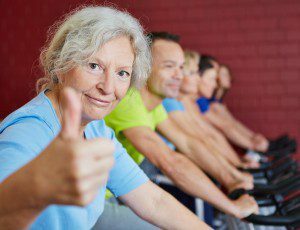 Questions relate to the syllabus for ‘Considerations for safe and effective exercise for independently active, older people’ unit. The theory test comprises 30 questions (1 mark per question) and learners must achieve a minimum of 21 marks overall to pass (70%). Assessment element 2: the ‘Plan and adapt exercise programmes for independently active, older people’ worksheet. Assessment element 3: Case Study and Progressive Programme. Plus you may have to take into consideration costs for travel and accommodation if the new course assessments are not local. If you are interested in hosting an Older Adult course in your area, we do offer discounts to hosts depending on the number of applicants enrolled, just contact the LLT Office. You can apply online here, but first we ask that you ensure you have read the Eligibility Guidelines and the statement about Medical Conditions and Learning Support Requirements below. You should also have read the Older Adult Terms and Conditions. Course dates can be found here. If there are no courses currently in your area we will initiate a course as soon as there is enough interest but we cannot guarantee a timeframe for this. Click here for information on Continual Professional Development courses for LLT Instructors. Many LLT Older Adults instructors also go on to qualify as PSIs or EfS Instructors, CBE leaders, or OEP leaders. You may also be interested in the courses we run on Motivation to exercise.